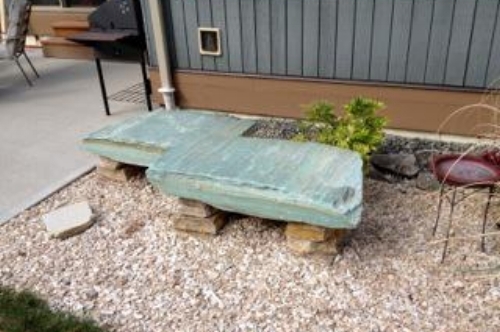 Stone Slabs can be used for so many different projects from benches, stair treds, roadside signs for displaying a business name or street address, tables, bridges, or even a diving board! 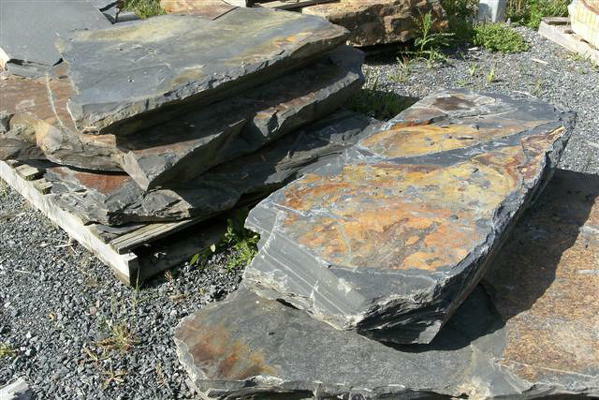 We have a wide variety of constantly changing natural stone slabs that range anywhere from 12 Inches Wide, to 12 Feet Long, and 2" - 16" thick ... and everywhere in between! 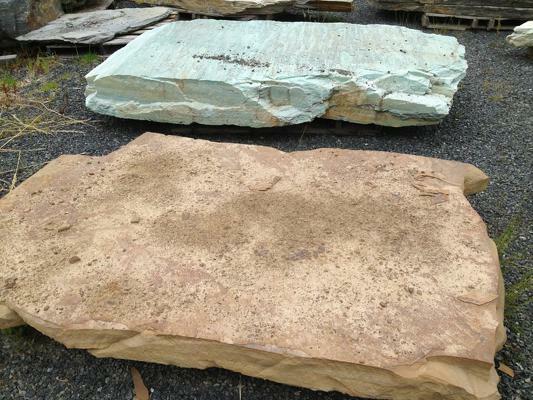 We can also order anything in if you are looking for something specific for your next project. 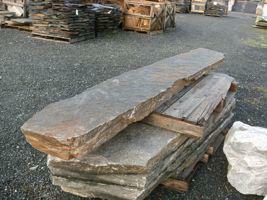 We also have some slabs that are cut along one edge so they can be used as a shelf or stone mantle. 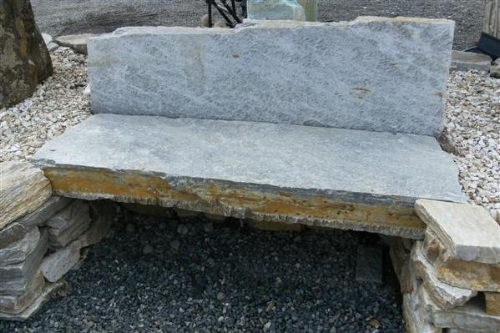 Stone Benches vary in price since they are sold based on weight, but they start at around $140. 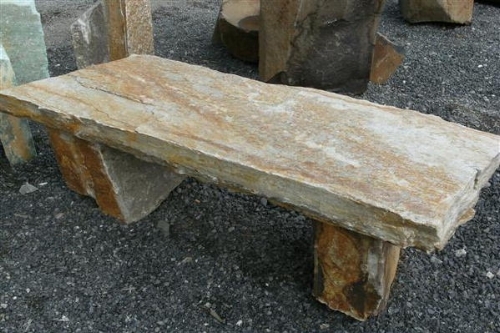 Stone Steps are non-slip, easy to install, and come in a variety of sizes ranging in price from $140 to $250 each. 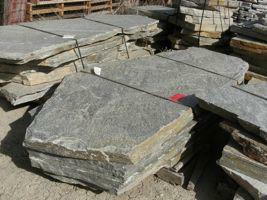 Stone steps are more of a long term solution then say landscape ties. 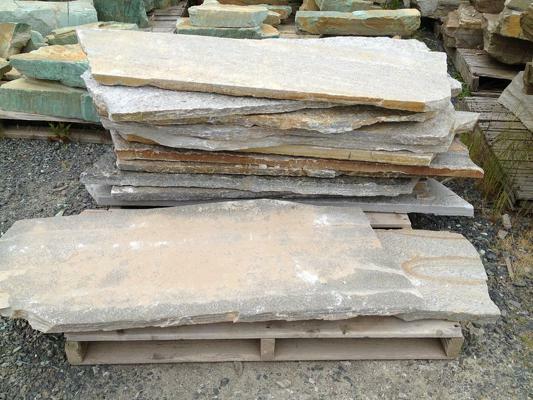 We carry the Mill Valley steps in 3,4,5 and 5 1/2 foot lengths averaging 18" deep and 4-6" in thickness. 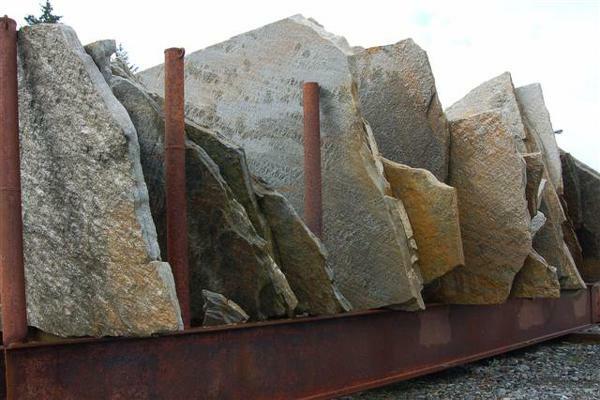 Stone Slabs can be used for a number of different things and for that reason we carry them in a number of different shapes, sizes, thicknesses and colours.